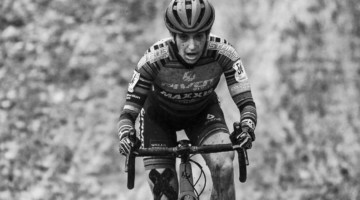 When Amanda Nauman (SDG – Muscle Monster) is your teammate, it is probably inevitable that you will end up racing the Dirty Kanza 200 gravel race. Such is the case for Drew Dillman (SDG – Muscle Monster). 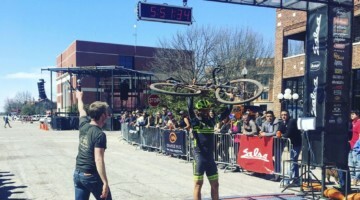 Dillman’s Road to Kanza started quite well last weekend when he finished third at the Land Run 100 after making the final selection with Payson McElveen (Orange Seal Off-Road Team) and Ted King (Cannondale / SRAM / Velocio / UnTapped). His third at Land Run continues the strong finish to the 2018 cyclocross season Dillman had. 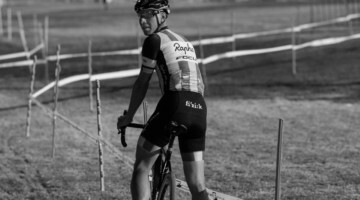 After a strong start to the season at the Trek CX Cup, Dillman suffered a broken hand at World Cup Waterloo that put him on the shelf until the CincyCX weekend. Dillman recovered quickly, winning at Day 1 of the Major Taylor Cross Cup and then podiuming at his next three races. 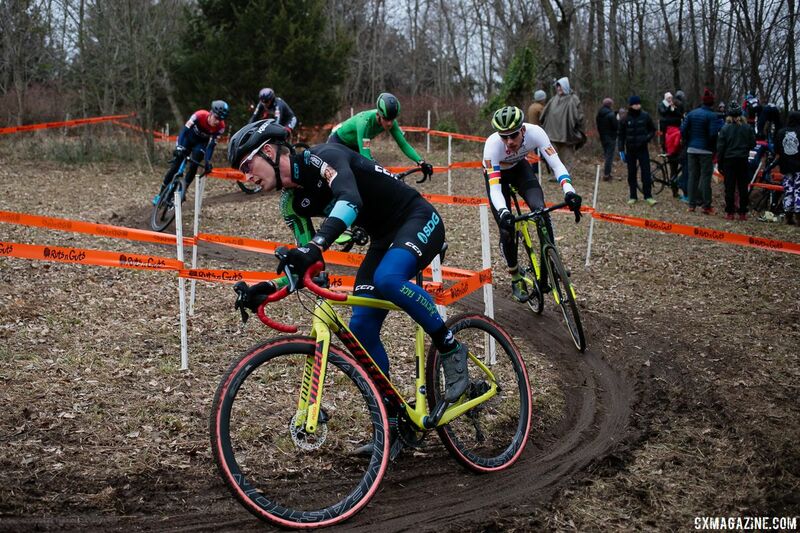 He capped his comeback with an impressive fourth in the mud at Louisville Nationals, setting the table for the coming 2019 cyclocross season. 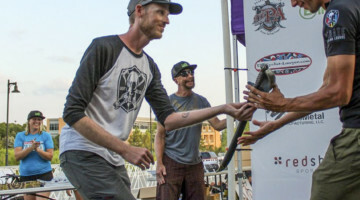 We chatted with Dillman about his decision to race the Dirty Kanza, his plans for the rest of the summer and his thoughts on his successful comeback from a broken hand in the second half of the cyclocross season. You can read what he had to say below. 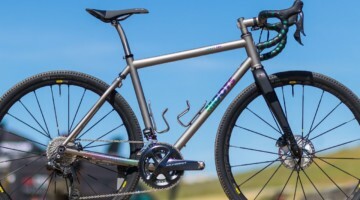 Cyclocross Magazine: What made you decide to do the Dirty Kanza 200? I’m guessing some peer pressure from Amanda? Drew Dillman: Definitely a lot of peer pressure from Amanda and Dave. Honestly, I had so much fun with the SDG – Muscle Monster team during the cyclocross season that I look forward to spending time with them at races, so DK would just be another fun weekend with the crew. Also, I’ve heard so much hype about that race and to have an open door to race it was hard to turn down. CXM: Have you ever done an event like that, in terms of the terrain or distance? DD: I’ve done a few 100-mile NUE mountain bike races, but we’re talking about 7.5 hours versus 12-plus hours. That’s a pretty big difference. But I’m also training like never before to prepare for this event. When you have a 200-mile race on the calendar, those 100-mile training days don’t seem as bad as they used to. CXM: Have you started asking Amanda for advice yet? DD: Yea. 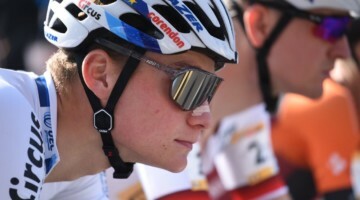 She is totally against aero bars, but she also wears an aero helmet. Which doesn’t make sense to me. So I joke about which aero bars I’m going to race. When I asked her about wearing road shoes, she sent me a picture of herself hiking up a rocky, mud-covered hill-side. So that answered that question. There’s a lot of little stuff that keeps popping up so I’m really grateful to have a teammate that is experienced at events like this. CXM: Are you changing your training to prepare for the race? DD: The endurance rides are definitely quite a bit longer than typical. But I’ve also never been in a better position to focus on training and racing. I have to give most of the credit to my lovely wife, CJ. She is very supportive of my goals on the bike and is helping me accomplish them. 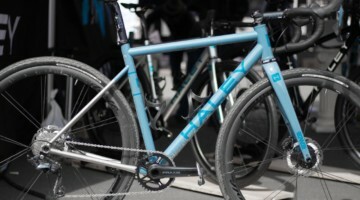 CXM: Do you think long rides like the Dirty Kanza are helpful for cyclocross training? What are you hoping to get out of the whole experience? DD: I think it is definitely beneficial for cyclocross if you don’t overdo it. After DK I’m pretty much all focused on cyclocross at that point with a few more mountain bike races on the calendar. It’s definitely great for your aerobic engine, which is the foundation behind all your training at higher intensities like cyclocross. 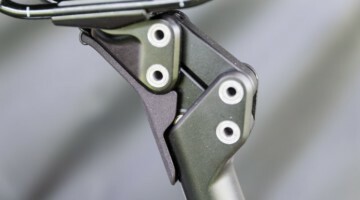 CXM: What bike will you be riding? Anything special you’re planning on doing with the setup? 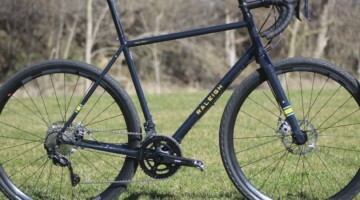 DD: I’ll be riding the Niner RLT gravel bike. No special setup, as far as I’m aware. But I’m also very new to the whole gravel scene so I’m still learning as I go. 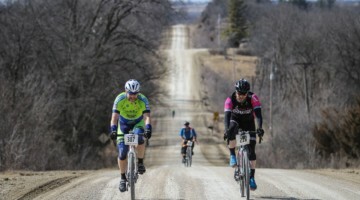 The Land Run 100 was my first big gravel race. CXM: My understanding is you were able to focus more on your racing this past season? What’s your current situation and how were you able to come into the ’cross season so strong? DD: Like I said a lot of things have changed in the past year. I was working a terrible day job for about a year to get my wife through nursing school and that finally ended last spring and now I’m just working part-time in the mornings which frees up my afternoons for training. I also started my own coaching business in 2018 so that has allowed me to devote more time to training and racing as well. I’m extremely grateful for the athletes that trust me as their coach because they are propelling me into a position where I can pursue some big goals on the pro circuit. 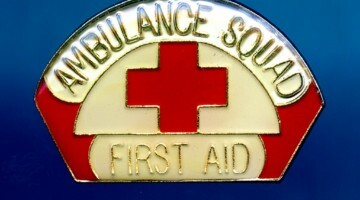 CXM: We were impressed by how you came back from your wrist injury this ’cross season. What did it take to bounce back and finish the season on a strong note? DD: The broken hand was early enough in the season where there was still hope for the latter half if recovery went smooth. 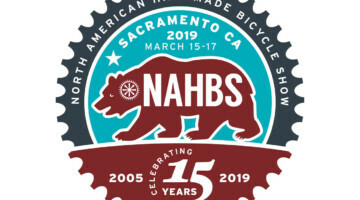 Fortunately, no surgery was needed, so I was back on the bike after about three to four weeks of indoor trainer sessions. 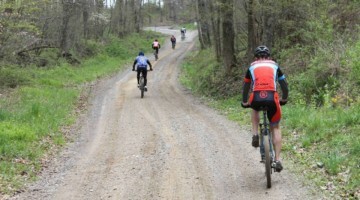 The first race back was the CincyCX weekend which was five weeks out from the break and it didn’t go well at all. I found myself on the ground a lot because my grip strength was still weak, and I was just really uncomfortable trying to handle my bike in the mud. However, the results started to return the next weekend at Pan-Ams where I finished eighth both days. After that, it was all uphill leading up to the fourth-place finish at Nats. CXM: How are you feeling going into next season after finishing fourth at Nats? DD: Very excited and motivated. Up to this year, I had always been able to hang with the top riders, but eventually, I’d get popped off the group somewhere along the way. 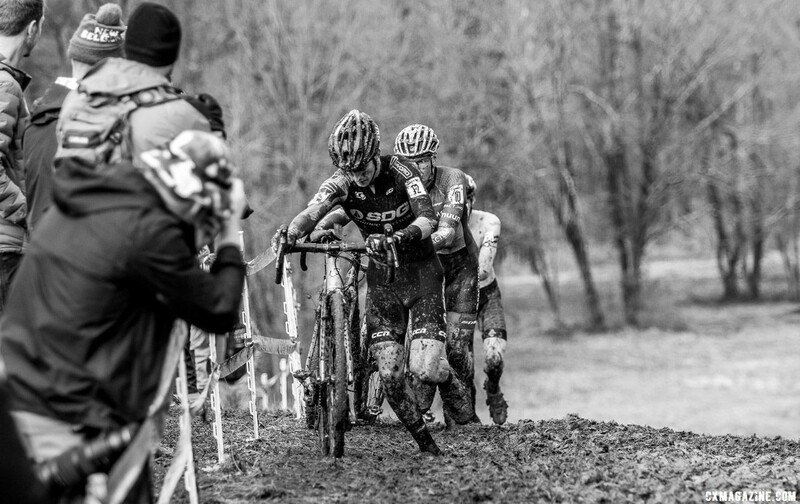 Towards the end of the year at races like Resolution CX and Ruts N’ Guts, I was at the front and making moves. 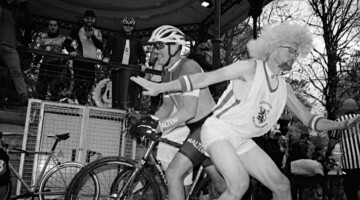 I had never been a serious factor in the lead group until those races. I really hope to carry that momentum into next season. 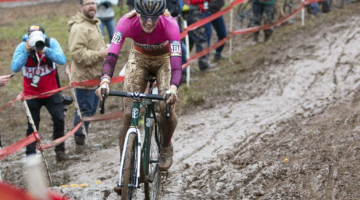 CXM: What else are you going to be up to this cyclocross offseason? Are there other races we should look for you at? 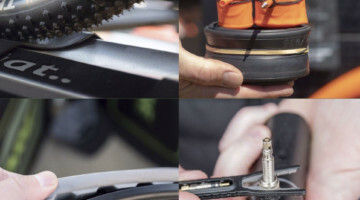 DD: This spring Barry – Roubaix and Marathon MTB Nats. I’ll also be doing all the Epic Rides Off-Road races, which I’m really excited about. I’ve never raced at the top level of MTB, so I’m excited to see how I’ll stack up against the strongest guys in the nation. 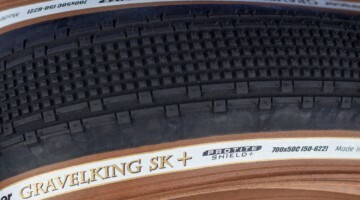 If those go well then I’ll be at Mountain Bike Nationals in July. I’m also joining forces with Todd Henriksen and Brian Firle through Athletes in Action as an affiliate/part-time staff to help lead chapels and Bible Studies at some of the big events throughout the year. I’m very excited about this position as I’m a Christian who wants to share my faith within the cycling world. CXM: Awesome. Looking forward to seeing you at Kanza. DD: Looking forward to it.